Neodymium, symbol Nd, has the atomic number 60. As a Lanthanides element, Neodymium is a rare earth element. 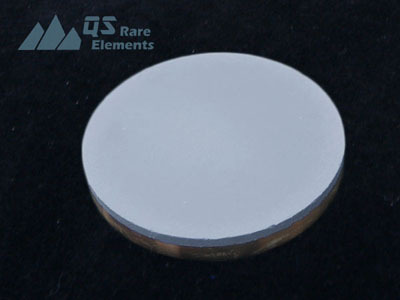 Element Neodymium is a soft silvery metal and its quite easy to react with oxygen, forming Neodymium Oxide (Nd2O3). The major application of Nd is the NdFeB magnets developed in the second half of 20th century. 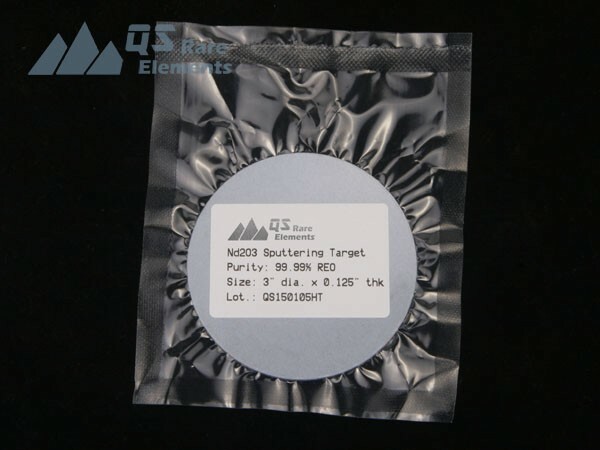 But some recent developments indicates that Neodymium oxide (Nd2O3) served as deposition materials, such as sputtering targets, may have more applications in electronic devices. 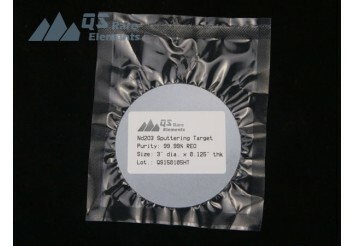 As Neodymium Oxide sputtering target is a quite brittle material, we shall packed it in vacuum sealed plastic bags and fit it in cut plastic faom. We choose high quality over-sized carboard box to keep our sputter targets safe.